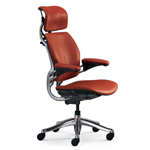 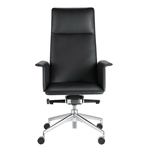 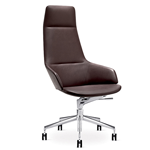 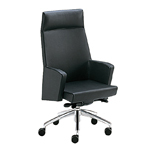 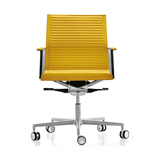 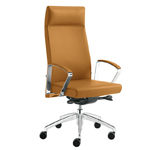 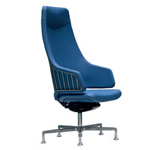 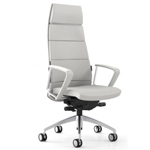 Fil is a refined swivel chair, its key assets are stateliness and elegance. 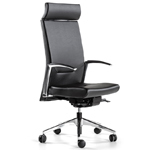 Despite is rather simple design, this ascetic object abounds with plenty of smart technological features. 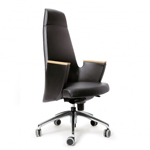 A special gas spring makes it possible to adjust the seating high in a very easy way, and the featured rocking mechanism enables the user to change the inclination angle of the backrest and set the pressure with respect to the body weight.